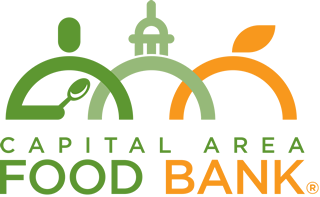 As a volunteer at the Capital Area Food Bank, I agree to indemnify and hold harmless the Capital Area Food Bank, its employees, volunteers or agents from any and all claims or causes of action that may arise out of performance of my assigned duties as a volunteer. By submitting my registration online, or checking in at the kiosk onsite, or signing the form onsite, I agree that I am participating in activities that have a potential risk of injury and waive the Capital Area Food Bank of any liability. I understand that my name, photograph, or video image may be used for any reason by the Capital Area Food Bank and their sponsors. This is a complete release, discharge and waiver of any and all actions or causes of action against the entities and persons set forth above and the offices, agents, employees, and volunteers of those entities. I also agree to receive e-mail updates from the Capital Area Food Bank, and I understand I can unsubscribe at any point.